Cards for Charity will host a benefit for the Little Sisters of the Poor at Holy Family Residence Tuesday, Aug. 9, at the Elmhurst Country Club, 319 Gardner Rd., Moscow. For more information or to make a reservation, call Maureen Pesavento at 570-346-6437. Reservations can also be made by sending a check and your name and/or names in your party (tables of four or more are suggested) to Maureen Pesavento, 108 Abby Way, Scranton PA 18504. The reservation deadline is Monday, Aug. 1. Pictured are seated left to right: Rosemarie Martin, Mary Ann Hazzouri, Maureen Pesavento, and Barbara Whitford, co-chairwoman. 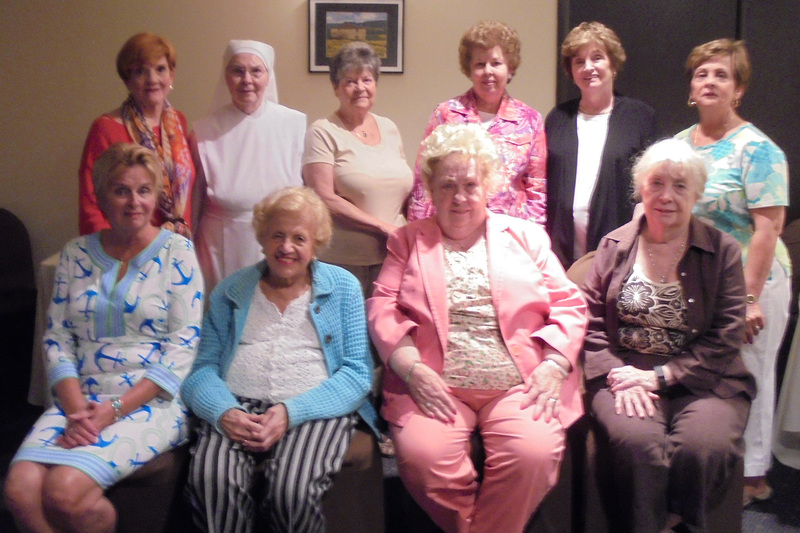 Standing left to right: Betty May, co-chairwoman; Sister Marie Therese, l.s.p. ; Joan Hrycow, Joyce Tressler, Joan Kennedy, and Ann Marie Bonafede.